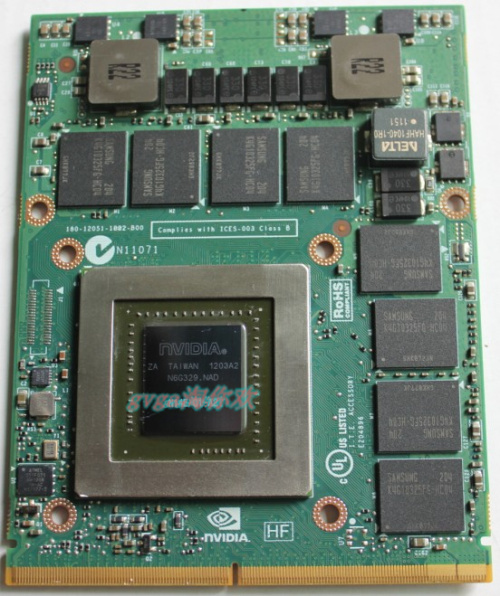 Nvidia Quadro K5100m in Precision m6700? I would like to upgrade graphics card in my precision m6700 and I was thinking about k5100m, but I'm not sure if It's that easy to install this card in my laptop. Probably I have to do some software upgrade(bios?). Does anybody use this card with m6700 or another card which is not supported by original Dell m6700 configuration? Is it hard to upgrade? How does it work later? Did you have any problems? Then remove the screws that secure the video card to the chassis allowing it to be interchanged. Like you said k5100m was validated only with precision m6700, but I've already read about few users who successfully installed k5000m on precision m6600. I guess quadro k5000m was only validated with dell m6700, but it works with m6600 as well. Obviously you have to do some software updates, usually bios. I would appreciate answers from users who upgraded their GPU like that and information how it works/how hard was that. I've got an occasion to buy k5100m for a good price, so it's really important for me. Especially if I plan next upgrade 5 years later. I have decided to don't start with k5100m. So, now I would like to upgrade my laptop to k5000m and I have few questions. At the moment I have AMD FirePro m6000 in my laptop and I read that there is a dedicated heatsink to k5000m. Can anyone confirm this information? Is there any difference between these two heatsinks? I know there are two different heatsinks for CPU - one of them has two pipes(for XM cpus) and another one has only one pipe, but i couldn't find any information about gpu heatsinks. Where do I have to put thermal paste? Only on the chip in the middle or on that square around as well? What about those chips around gpu processor? What do you think about gelid extreme thermal paste? You can upgrade your m6700 graphics card to the k5100m, I have tried that before and the performance achieved is similar to that of the default m6800. However, you first have to make sure your processor is not an intel extreme edition ( e.g i7 3920xm or i7 3940xm -- I had a very bad experience while co-using the i7-3940xm with the k5100m until i changed the processor to i7-3740qm). Secondly, you have to modify the .inf file of the k5100m driver package since the pci bridge reference of the m6700 is not listed in the k5100m driver info file. To SIRWATT. Thank you for posting this information. That was exactly what I was looking for. 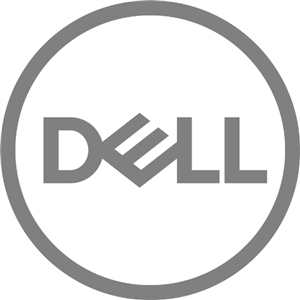 I just recently purchased Dell k5100m for my second m6700, I have two processors to use with it, I was thinking of putting 3920xm in it, but after reading your post will make it 3720qm (that's the other one I have), also good to know that 3840qm could work with k5100m also. My question to you is about the driver you've used with k5100m on m6700. Would you be so generous to share that modified driver you've used, or give me a step by step instruction on how to do it myself (have no previous experience of modifying drivers). Thanks for your time and info. Extract the driver to your main hdd (where windows is installed). For example into folder "C:\K5100M driver"
Open with notepad, file "nvdm.info" in folder "Display.Driver"
Re-paste in the empty space. Where ever you see 15CD replace with your bridge ref (in my case was 153F for precision m6700). The same for 1028 change accordingly if sub vendor is not Dell. For instance, if your m6700 has bridge ref 153F (which I believe is the case) and the sub vendor of your k5100m is say CLEVO/KAPOK whose sub vendor ref is 1558; Therefore, the entire re-pasted string will be modified into: NVIDIA_DEV.11B8.153F.1558 = "NVIDIA Quadro K5100M "
Replace NVIDIA_DEV.11B8.15CD.1028 = "NVIDIA Quadro K5100M "
With NVIDIA_DEV.11B8 = "NVIDIA Quadro K5100M "
Having considered the Nota Bene of the preliminary statements you may proceed to install the driver. When prompted that the driver you’re about to install is not signed (with a red icon warning) ignore it and continue the installation. What may not go well? For the case of you processor i7 3920xm, you can use it with the k5100m if you're cool with excessive noise (from the fan) and heat. The processor may occasionally throttle (perhaps due to excessive heat or inadequate power supply) , even with that the performance of the processor will be within range of an i7 3720qm to an i7 3820qm. So if you're cool with noise and heat, it will be fine. Put K5100m in my m6700 Covet that has 3940XM in it. Modified original driver as it was kindly directed by SiRWaTT and the card works like a charm, temperature stays low. Thanks again to SiRWaTT for all his time and effort he made to make this card work in m6700.
? I currently have the 3000m, but want to upgrade it and this video card was one of the cards I was looking at. I'm just wandering about my cpu i7(2860qm): would I run into problems? It is close to the 3720 in performance, but I don't know what else to look at.